Vija Celmins was born in Riga, Latvia, in 1938. Celmins immigrated to the United States with her family when she was ten years old, settling in Indiana. She received a BFA from the John Herron Institute in Indianapolis, and later earned her MFA in painting from the University of California, Los Angeles. Celmins received international attention early on for her renditions of natural scenes—often copied from photographs that lack a point of reference, horizon, or discernable depth of field. Armed with a nuanced palette of blacks and grays, Celmins renders these limitless spaces—seascapes, night skies, and the barren desert floor—with an uncanny accuracy, working for months on a single image. Celmins has a highly attuned sense for organic detail and the elegance of imperfection. One series of works take as their subject delicate spider webs. Vija Celmins received an American Academy of Arts and Letters Award in 1996 and a John D. and Catherine T. MacArthur Fellowship in 1997. 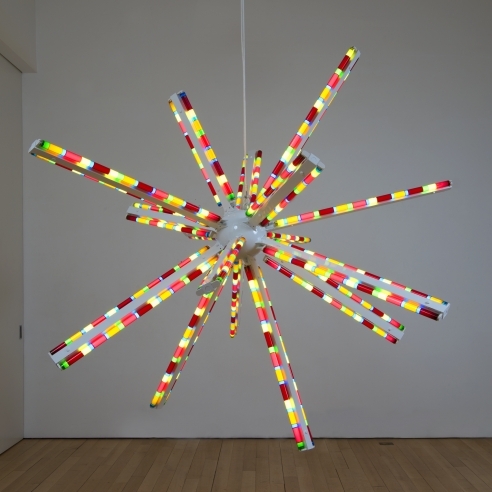 Retrospectives of her work have traveled to the Whitney Museum of American Art; Walker Art Center; the Museum of Contemporary Art, Los Angeles; Institute of Contemporary Arts, London; and the Museum of Fine Arts, Houston. In 2002, a retrospective of Celmins’s prints was held at the Metropolitan Museum of Art. Celmins currently resides in New York and California.